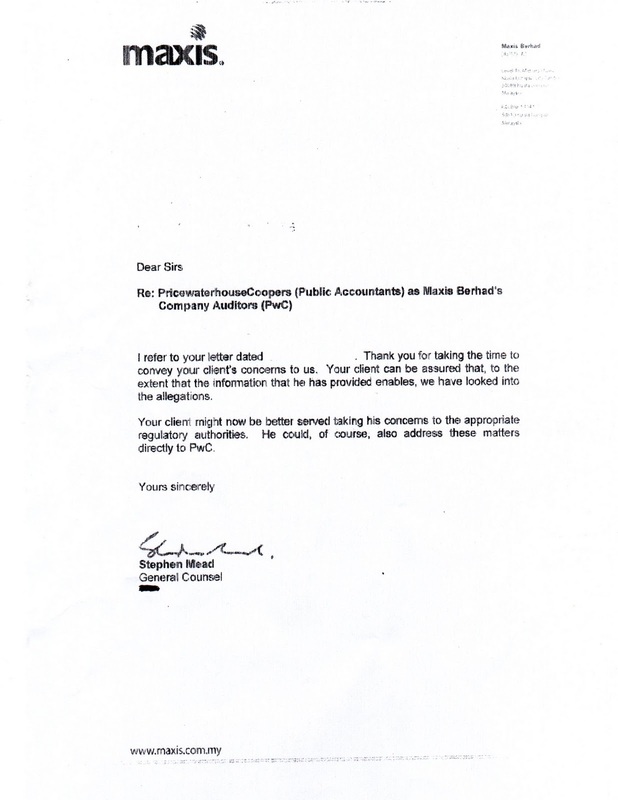 zarinahtakesapaycut: Will Tan Sri T. Ananda Krishnan drop PwC as the Maxis auditors: Will Ernst & Young be the beneficiaries of this ongoing PwC fraud? Will Tan Sri T. Ananda Krishnan drop PwC as the Maxis auditors: Will Ernst & Young be the beneficiaries of this ongoing PwC fraud? In Corporate Malaysia, being recalcitrant and fraudulent sometimes pays. A key study of PwC Malaysia. Until and unless PwC Malaysia starts losing its clients like CIMB, Sime Darby, Maxis, Tenaga Nasional Berhad, Genting, British American Tobacco Malaysia, Telekom Malaysia, IJM and dozens more, they will not change their ways. Our sources have told us that Tan Sri T. Ananda Krishnan is really pissed off with PwC. The change in auditors will come in the next AGM, or Tan Sri Ananda can call for an EGM in the coming months. Tan Sri T. Ananda Krishnan's problem right now is that he has crooked auditors in the form of PwC Malaysia. To add insult to injury, it is apparent that none of the regulators in Malaysia have the gumption to act on PwC. If we scroll through the regulators, and other influential bodies in the auditing world, like the Securities Commission, the Audit Oversight Board (AOB), the Malaysian Institute of Accountants (MIA), the Malaysian Institute of Certified Public Accountants (MICPA), the Malaysian Accounting Standards Board (MASB) we can find a common element that compromises the ability of these regulators to act decisively on the fraud perpetrated by PwC Malaysia. Dato' Johan Raslan, the Chairman of PwC Malaysia, is also the President of the MICPA. He is also a member of the Securities Commission of Malaysia's Corporate Governance Consultative Committee. 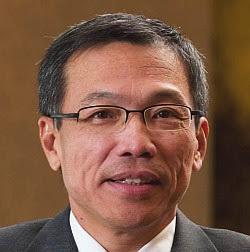 He was also the former Chairman for the Financial Reporting Foundation, which now sees Ms Loh Lay Choon, a partner in PwC sitting on its board. En Mohammad Faiz Azmi, a partner in PwC Malaysia, is the Chairman of the MASB, and another partner of PwC, Ms Ng Mi Li also sits on the MASB board. As the largest auditing firm in the country, PwC Malaysia has its partners in nearly all the key regulatory and professional bodies in this country. 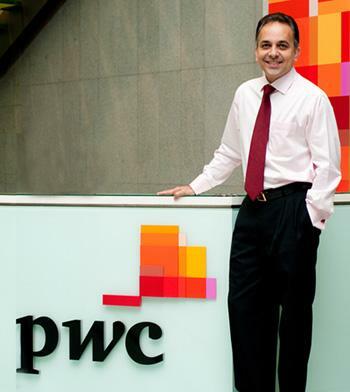 Sridharan Nair, his role in PwC is non-Audit income activities. Story coming soon. The regulators can safely ignore the burning questions regarding the ongoing fraud perpetrated by PwC Malaysia, because they answer only to themselves, as the Latin phrase puts so aptly, "Quis Custodiet Ipsos Custodes?". "Who will guard the guards themselves?" is the burning question Malaysians must ask themselves, as it is obvious that when left to their own devices, the regulators can afford to ignore any questions that may upset the status quo in their own organisations. But there is one area where the regulators and the auditors, whom they are supposed to be 'regulating', have no control over. No one can dictate to the corporations and their shareholders, that they must hire this or that accounting firm as their auditors. The shareholders are able to exercise their rights to ask for a change of auditors when they see that the current firm is not the bulwark of ethical conduct that it purports itself to be. They can bring the guilty firms to task, not by praying and hoping that the regulators will do their job, but by punishing the accounting firm where it will hurt the most, in their pockets. 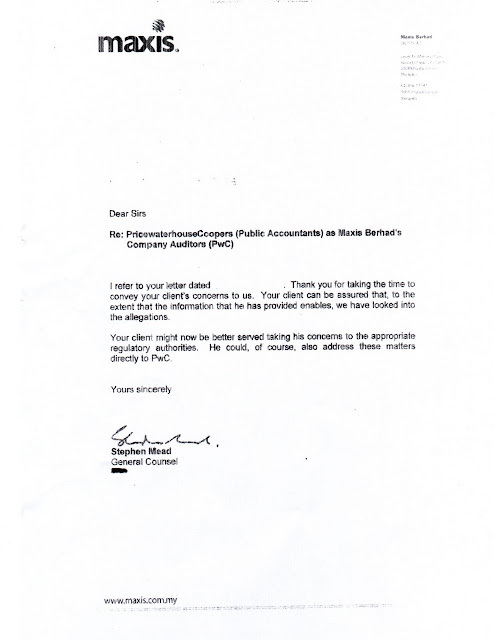 In PwC's case, it does seem that the only way they will change their ways is when the exodus of clients gives them no choice but to clean up their act. If this means that they will have to remove their partners who are guilty of fraudulent behavior and acts, as well as put a stop to any ongoing acts of fraud, then that is what they must do. The alternative is of course to go the way of Arthur Andersen, and end up as a mere footnote in moral stories aspiring accountants will read. PwC Malaysia must realize that the questions raised against them are now one of the major talking points amongst shareholders of many, if not all of their clients. And that the 'elegant silence' they choose to maintain is hurting them more than even the allegations themselves. The point where PwC Malaysia must either break its silence and force Chin Kwai Fatt and Co to face the music, or find itself writing its own obituary is fast approaching, and the longer it takes to do what is right, the greater will be the number of its clients who have abandoned its sinking ship.